If you’re like most introductory psychology instructors, these sorts of questions probably sound awfully familiar. There’s a good reason: much of the popular psychology “knowledge” that our students bring to their classes consists of scant more than pseudoscience. Moreover, our students are often fascinated by dubious claims on the fringes of scientific knowledge: extrasensory perception, psychokinesis, channeling, out-of-body experiences, subliminal persuasion, astrology, biorhythms, “truth serum,” the lunar lunacy effect, hypnotic age regression, multiple personality disorder, alien abduction reports, handwriting analysis, rebirthing therapy, and untested herbal remedies for depression, to name but a few. Of course, because some of these claims may eventually be shown to contain a core of truth, we should not dismiss them out of hand. Nevertheless, what is troubling about these claims is the glaring discrepancy between many individuals’ beliefs in them and the meager scientific evidence on their behalf. Yet many introductory psychology instructors accord minimal attention to potentially pseudoscientific topics in their courses, perhaps because they believe that these topics are of, at best, marginal relevance to psychological science. Moreover, many introductory psychology textbooks barely mention these topics. After all, there is already more than enough to cover in psychology courses, so why tack on material of doubtful scientific status? Furthermore, some instructors may fear that by devoting attention to questionable claims they will end up sending students the unintended message that these claims are scientifically credible. So why should we teach psychology students to distinguish science from pseudoscience? As personality theorist George Kelly (1955) noted, an effective understanding of a construct requires an appreciation of both of its poles. For example, we cannot grasp fully the concept of “cold” unless we have experienced heat. Similarly, students may not grasp fully the concept of scientific thinking without an understanding of pseudoscientific beliefs, namely those that at first blush appear scientific but are not. Moreover, by addressing these topics, instructors can capitalize on a valuable opportunity to impart critical thinking skills, such as distinguishing correlation from causation and recognizing the need for control groups, by challenging students’ misconceptions regarding popular psychology. Although many students find these skills to be “dry” or even deadly dull when presented in the abstract, they often enjoy acquiring these skills in the context of lively and controversial topics (e.g., extrasensory perception) that stimulate their interest. Students often learn about such topics from various popular psychology sources that they seek out in everyday life, such as magazine articles, Internet sites, and television programs. Indeed, for many beginning students, “psychology” is virtually synonymous with popular psychology. Yet because so much of popular psychology consists of myths and urban legends, such as most people use only 10 percent of their brains, expressing anger is usually better than holding it in, opposites attract in interpersonal relationships, high self-esteem is necessary for psychological health, people with schizophrenia have more than one personality, among a plethora of others, many students probably emerge from psychology courses with the same misconceptions with which they entered. As a consequence, they often depart college incapable of distinguishing the wheat from the chaff in popular psychology. Teaching students to distinguish science from pseudoscience can prove immensely rewarding. Foremost among these rewards is producing discerning consumers of the popular psychology literature. Indeed, research evidence supports the efficacy of teaching psychology courses on pseudoscience and the paranormal. For example, Morier and Keeports (1994) reported that undergraduates enrolled in a “Science and Pseudoscience” seminar demonstrated a statistically significant reduction in paranormal beliefs relative to a quasi-control group of students enrolled in a psychology and law class over the same time period (see also Dougherty, 2004). They replicated this effect over a 2-year period with two sections of the course. Wesp and Montgomery (1998) found that a course on the objective examination of paranormal claims resulted in a statistically significant improvement in the evaluation of reasoning flaws in scientific articles. Specifically, students in this course were better able to identify logical errors in articles and provide rival explanations for research findings. Nevertheless, teaching students to distinguish science from pseudoscience brings more than its share of challenges and potential pitfalls. In my introductory psychology course (in which I emphasize strongly the distinction between science and pseudoscience in psychology) and in my advanced undergraduate seminar, “Science and Pseudoscience in Psychology,” I have learned a number of valuable lessons (by first making just about every mistake about which I’ll warn you). In the following section, I summarize these teaching tips, which I refer to as the “10 Commandments” of teaching psychology students to distinguish science from pseudoscience. To avoid being accused of failing to separate Church from State, I have worded all of these injunctions in the positive rather than the negative to distinguish them from the (only slightly better known) biblical 10 Commandments. I urge readers of this column to inscribe these commandments on impressive stone tablets to be mounted outside of all psychology departments. A tendency to invoke ad hoc hypotheses, which can be thought of as “escape hatches” or loopholes, as a means of immunizing claims from falsification. An absence of self-correction and an accompanying intellectual stagnation. An emphasis on confirmation rather than refutation. A tendency to place the burden of proof on skeptics, not proponents, of claims. Excessive reliance on anecdotal and testimonial evidence to substantiate claims. Evasion of the scrutiny afforded by peer review. Absence of “connectivity” (Stanovich, 1997), that is, a failure to build on existing scientific knowledge. Use of impressive-sounding jargon whose primary purpose is to lend claims a facade of scientific respectability. An absence of boundary conditions (Hines, 2003), that is, a failure to specify the settings under which claims do not hold. Teachers should explain to students that none of these warning signs is by itself sufficient to indicate that a discipline is pseudoscientific. Nevertheless, the more of these warning signs a discipline exhibits, the more suspect it should become. Thou shalt distinguish skepticism from cynicism. One danger of teaching students to distinguish science from pseudoscience is that we can inadvertently produce students who are reflexively dismissive of any claim that appears implausible. Skepticism, which is the proper mental set of the scientist, implies two seemingly contradictory attitudes (Sagan, 1995): an openness to claims combined with a willingness to subject these claims to incisive scrutiny. As space engineer James Oberg (see Sagan, 1995) reminded us, we must keep our minds open but not so open that our brains fall out. In contrast, cynicism implies close-mindedness. I recall being chastised by a prominent skeptic for encouraging researchers to keep an open mind regarding the efficacy of a novel psychotherapy whose rationale struck him as farfetched. However, if we foreclose the possibility that our preexisting beliefs are erroneous, we are behaving unscientifically. Skepticism entails a willingness to entertain novel claims; cynicism does not. Thou shalt distinguish methodological skepticism from philosophical skepticism. When encouraging students to think critically, we must distinguish between two forms of skepticism: (1) an approach that subjects all knowledge claims to scrutiny with the goal of sorting out true from false claims, namely methodological (scientific) skepticism, and (2) an approach that denies the possibility of knowledge, namely philosophical skepticism. When explaining to students that scientific knowledge is inherently tentative and open to revision, some students may mistakenly conclude that genuine knowledge is impossible. This view, which is popular in certain postmodernist circles, neglects to distinguish knowledge claims that are more certain from those that are less certain. Although absolute certainly is probably unattainable in science, some scientific claims, such as Darwin’s theory of natural selection, have been extremely well corroborated, whereas others, such as the theory underpinning astrological horoscopes, have been convincingly refuted. Still others, such as cognitive dissonance theory, are scientifically controversial. Hence, there is a continuum of confidence in scientific claims; some have acquired virtual factual status whereas others have been resoundingly falsified. The fact that methodological skepticism does not yield completely certain answers to scientific questions?and that such answers could in principle be overturned by new evidence?does not imply that knowledge is impossible, only that this knowledge is provisional. Nor does it imply that the answers generated by controlled scientific investigation are no better than other answers, such as those generated by intuition (see Myers, 2002). Thou shalt distinguish pseudoscientific claims from claims that are merely false. All scientists, even the best ones, make mistakes. Sir Isaac Newton, for example, flirted with bizarre alchemical hypotheses throughout much of his otherwise distinguished scientific career (Gleick, 2003). Students need to understand that the key difference between science and pseudoscience lies not in their content (i.e., whether claims are factually correct or incorrect) but in their approach to evidence. Science, at least when it operates properly, seeks out contradictory information and—assuming that this evidence is replicable and of high quality—eventually incorporates such information into its corpus of knowledge. In contrast, pseudoscience tends to avoid contradictory information (or manages to find a way to reinterpret this information as consistent with its claims) and thereby fails to foster the self-correction that is essential to scientific progress. For example, astrology has changed remarkably little over the past 2,500 years despite overwhelmingly negative evidence (Hines, 2003). Thou shalt distinguish science from scientists. Although the scientific method is a prescription for avoiding confirmatory bias (Lilienfeld, 2002), this point does not imply that scientists are free of biases. Nor does it imply that all or even most scientists are open to evidence that challenges their cherished beliefs. Scientists can be just as pigheaded and dogmatic in their beliefs as anyone else. Instead, this point implies that good scientists strive to become aware of their biases and to counteract them as much as possible by implementing safeguards against error (e.g., double-blind control groups) imposed by the scientific method. Students need to understand that the scientific method is a toolbox of skills that scientist have developed to prevent themselves from confirming their own biases. Thou shalt explain the cognitive underpinnings of pseudoscientific beliefs. Instructors should emphasize that we are all prone to cognitive illusions (Piatelli-Palmarini, 1994), and that such illusions can be subjectively compelling and difficult to resist. For example, class demonstrations illustrating that many or most of us can fall prey to false memories (e.g., Roediger & McDermott, 1995) can help students to see that the psychological processes that lead to erroneous beliefs are pervasive. Moreover, it is important to point out to students that the heuristics (mental shortcuts) that can produce false beliefs, such as representativeness, availability, and anchoring (Tversky & Kahneman, 1974), are basically adaptive and help us to make sense of a complex and confusing world. Hence, most pseudoscientific beliefs are cut from the same cloth as accurate beliefs. By underscoring these points, instructors can minimize the odds that students who embrace pseudoscientific beliefs will feel foolish when confronted with evidence that contradicts their beliefs. Thou shalt remember that pseudoscientific beliefs serve important motivational functions. Many paranormal claims, such as those concerning extrasensory perception, out-of-body experiences, and astrology, appeal to believers’ deep-seated needs for hope and wonder, as well as their needs for a sense of control over the often uncontrollable realities of life and death. Most believers in the paranormal are searching for answers to profound existential questions, such as “Is there a soul?” and “Is there life after death?” As psychologist Barry Beyerstein (1999) noted (in a play on P.T. Barnum’s famous quip), “there’s a seeker born every minute” (p. 60). Therefore, in presenting students with scientific evidence that challenges their paranormal beliefs, we should not be surprised when many of them become defensive. In turn, defensiveness can engender an unwillingness to consider contrary evidence. One of the two best means of lessening this defensiveness (the second is the Eighth Commandment below) is to gently challenge students’ beliefs with sympathy and compassion, and with the understanding that students who are emotionally committed to paranormal beliefs will find these beliefs difficult to question, let alone relinquish. Ridiculing these beliefs can produce reactance (Brehm, 1966) and reinforce students’ stereotypes of science teachers as close-minded and dismissive. In some cases, teachers who have an exceptionally good rapport with their class can make headway by challenging students’ beliefs with good-natured humor (e.g., “I’d like to ask all of you who believe in psychokinesis to please raise my hand”). However, teachers must ensure that such humor is not perceived as demeaning or condescending. Thou shalt expose students to examples of good science as well as to examples of pseudoscience. In our classes, it is critical not merely to debunk inaccurate claims but to expose students to accurate claims. We must be careful not merely to take away student’s questionable knowledge, but to give them legitimate knowledge in return. In doing so, we can make it easier for students to swallow the bitter pill of surrendering their cherished beliefs in the paranormal. Students need to understand that many genuine scientific findings are at least as fascinating as are many scientifically dubious paranormal claims. In my own teaching, I have found it useful to intersperse pseudoscientific information with information that is equally remarkable but true, such as lucid dreaming, eidetic imagery, subliminal perception (as opposed to subliminal persuasion, which is far more scientifically dubious), extraordinary feats of human memory (Neisser & Hyman, 2000), and appropriate clinical uses of hypnosis (as opposed to the scientifically unsupported use of hypnosis for memory recovery; see Lynn, Lock, Myers, & Payne, 1997). In addition, we should bear in mind the late paleontologist Stephen Jay Gould’s (1996) point that exposing a falsehood necessarily affirms a truth. As a consequence, it is essential not only to point out false information to students, but also to direct them to true information. For example, when explaining why claims regarding biorhythms are baseless (see Hines, 2003), it is helpful to introduce students to claims regarding circadian rhythms, which, although often confused with biorhythms, are supported by rigorous scientific research. Thou shalt be consistent in one’s intellectual standards. One error that I have sometimes observed among skeptics, including psychology instructors who teach critical thinking courses, is to adopt two sets of intellectual standards: one for claims that they find plausible and a second for claims that they do not. The late psychologist Paul Meehl (1973) pointed out that this inconsistency amounts to “shifting the standards of evidential rigor depending on whose ox is being gored” (p. 264). For example, I know one educator who is a vocal proponent of the movement to develop lists of empirically supported therapies, that is, psychological treatments that have been shown to be efficacious in controlled studies. In this domain, he is careful to draw on the research literature to buttress his assertions regarding which psychotherapies are efficacious and which are not. Yet he is dismissive of the research evidence for the efficacy of electroconvulsive therapy (ECT) for depression, even though this evidence derives from controlled studies that are every bit as rigorous as those conducted for the psychotherapies that he espouses. When I pointed out this inconsistency to him, he denied emphatically that he was adhering to a double standard. It eventually became apparent to me that he was casting aside the evidence for ECT’s efficacy merely because this treatment struck him as grossly implausible. Why on earth, he probably wondered, should inducing an epileptoid seizure by administering electricity to the brain alleviate depression? But because surface plausibility is a highly fallible barometer of the validity of truth claims, we must remain open to evidence that challenges our intuitive preconceptions and encourage our students to do so as well. Thou shalt distinguish pseudoscientific claims from purely metaphysical religious claims. My final commandment is likely to be the most controversial, especially for skeptics who maintain that both pseudoscientific and religious beliefs are irrational. To appreciate the difference between these two sets of beliefs, we must distinguish pseudoscience from metaphysics. Unlike pseudoscientific claims, metaphysical claims (Popper, 1959) cannot be tested empirically and therefore lie outside the boundaries of science. In the domain of religion, these include claims regarding the existence of God, the soul, and the afterlife, none of which can be refuted by any conceivable body of scientific evidence. Nevertheless, certain religious or quasi-religious beliefs, such as those involving “intelligent design” theory, which is the newest incarnation of creationism (see Miller, 2000), the Shroud of Turin, and weeping statues of Mother Mary, are indeed testable and hence suitable for critical analysis alongside of other questionable naturalistic beliefs. By conflating pseudoscientific beliefs with religious beliefs that are strictly metaphysical, instructors risk (a) needlessly alienating a sizeable proportion of their students, many of whom may be profoundly religious; and (b) (paradoxically) undermining students’ critical thinking skills, which require a clear understanding of the difference between testable and untestable claims. 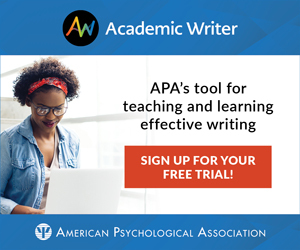 Adherence to the Ten Commandments can allow psychology educators to assist students with the crucial goal of distinguishing science from pseudoscience. If approached with care, sensitivity, and a clear understanding of the differences between skepticism and cynicism, methodological and philosophical skepticism, the scientific method and the scientists who use it, and pseudoscience and metaphysics, incorporating pseudoscience and fringe science into psychology courses can be richly rewarding for teachers and students alike. In a world in which the media, self-help industry, and Internet are disseminating psychological pseudoscience at an ever-increasing pace, the critical thinking skills needed to distinguish science from pseudoscience should be considered mandatory for all psychology students. Beyerstein, B. L. (1999). Pseudoscience and the brain: Tuners and tonics for aspiring superhumans. In S. D. Sala (Ed. ), Mind myths: Exploring popular assumptions about the mind and brain (pp. 59-82). Chichester, England: John Wiley. Brehm, J. (1966). A theory of psychological reactance. New York: Academic Press. Bunge, M. (1984, Fall). What is pseudoscience? Skeptical Inquirer, 9, 36-46. Dougherty, M. J. (2004). Educating believers: Research demonstrates that courses in skepticism can effectively decrease belief in the paranormal. Skeptic, 10(4), 31-35. Gleick, J. (2003). Isaac Newton. New York: Pantheon Books. Gould, S. J. (1996, May). Keynote address, “Science in the age of (mis)information).” Talk presented at the Convention of the Committee for the Scientific Investigation of Claims of the Paranormal, Buffalo, New York. Hines, T. (2003). Pseudoscience and the paranormal: A critical examination of the evidence. Buffalo, NY: Prometheus. Kelly, G. A. (1955). The psychology of personal constructs, Vols. 1 and 2. New York:Norton. Lilienfeld, S. O. (2002). When worlds collide: Social science, politics, and the Rind et al. child sexual abuse meta-analysis. American Psychologist, 57, 176-188. Lilienfeld, S. O., Lohr, M., & Morier, D. (2001). The teaching of courses in the science and pseudoscience of psychology. Teaching of Psychology, 28, 182-191. Lilienfeld, S. O., Lynn, S. J., & Lohr, J. M. (2003). Science and pseudoscience in clinical psychology. New York: Guilford. Lynn, S. J., Lock, T. G., Myers, B., & Payne, D. G. (1997). Recalling the unrecallable: Should hypnosis be used to recover memories in psychotherapy? Current Directions in Psychological Science, 6, 79-83. Meehl, P.E. (1973). Psychodiagnosis: Selected papers. Minneapolis, MN: University of Minnesota Press. Miller, K. (2000). Finding Darwin’s God: A scientist’s search for common ground between God and evolution. New York: Cliff Street Books. Morier, D., & Keeports, D. (1994). Normal science and the paranormal: The effect of a scientific method course on students’ beliefs in the paranormal. Research in Higher Education, 35, 443-453. Myers, D.G. (2002). Intuition: Its powers and perils. New Haven: Yale University Press. Neisser, U. & Hyman, I.E. (2000). Memory observed: Remembering in natural contexts. New York: Worth Publishers. Piatelli-Palmarini, M. (1994). Inevitable illusions: How mistakes of reason rule our minds. New York: John Wiley & Sons. Ruscio, J. (2002). Clear thinking with psychology: Separating sense from nonsense. Pacific Grove, CA: Wadsworth. Shermer, M. (2002). Why people believe weird things: Pseudoscience, superstition, and other confusions of our time. New York: Owl Books. Stanovich, K. (1997). How to think straight about psychology (4th ed.). New York: HarperCollins. Wesp, R., & Montgomery, K. (1998). Developing critical thinking through the study of paranormal phenomena. Teaching of Psychology, 25, 275-278. This was a good article and the list of books in the bibliography was impressive. I recently published a book on UFOs and alien abductions, where I approach these subjects from a socio-skeptical standpoint. 1. What really is the difference between refuting and confirming? Many scientific experiments I’ve seen test a hypothesis by constructing a situation where it can be proven false or true, and many parapsychology experiments (at least from what I’ve seen) try only to confirm the existence of psi, but I wonder what are some good signs for differenciete between the two. 2. How can a non-scholar see what is proper peer-review? Some journals claim to do proper peer-review, when in actuality, they don’t. Google scholar doesn’t really help here, as I’ve only been able to see how many times the paper has been rwviewed (if at all). 3. Is subliminal perception a thing? I googled it, and I found subliminal persuasion and subliminal stimuli, both of which are listed on Wikipedia’s “list of topics categorized as pseudoscience”. If sub. stimuli is the equivelent of sub. perception, shouldn’t it be disscused as pseudoscience rather than science? 4. Are there really any approprite clinical uses of hypnosis, considering it is widely considered an alternative medicine? While on the topic, shouldn’t hypnosis be disscused as pseudoscience, particularly because it is on Wikipedias’s list? 5. Isn’t one of the characteristics of pseudoscience unfalsifiability, and hence, metaphysics could be considered pseudoscience? Some pseudoscientific claims have been falsified, while others cannot be tested and is therefore unfalsifiable.